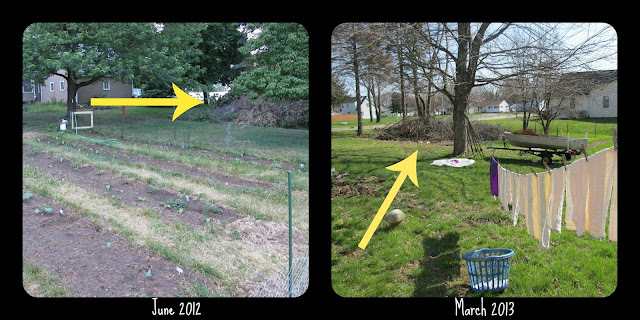 This weekend we worked on the yard and garden. We rented a 6" wood chipper for four hours and ground up the giant pile of brush from last year's yard clearing and started to chip some of the overgrown honeysuckle bushes along the fence. We were hoping to chip all of the honeysuckle but four hours was not enough time to get it all done. We will probably end up renting the chipper again in the fall to finish the bushes and what ever else we cut down this summer. By renting the chipper and doing the labor ourselves we saved $200. We plan to use that money saved to buy some dirt since part of our front yard has eroded and the grade around parts of the house could use a tad more angle. It is amazing how such a large pile of brush is reduced to a rather small to medium sized pile of wood chips. 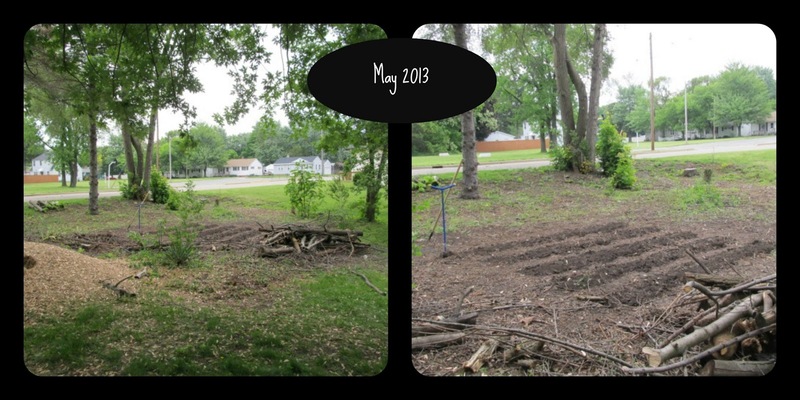 Once the brush pile was gone we were left with open dirt. Not ones to let open dirt go to waste, we promptly planted some corn and more bush beans in the open space. I think I will also throw some sunflower seeds out there for kicks and giggles as well. 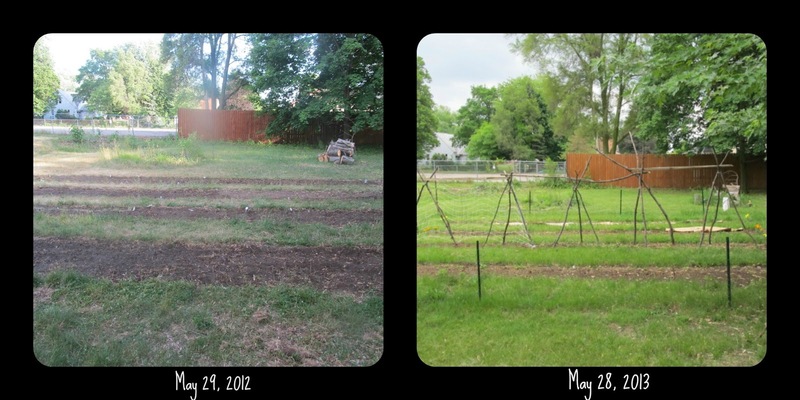 It is amazing how different the yard and garden look in the span of one year. Our yard is still rather wild looking but it is significantly better. 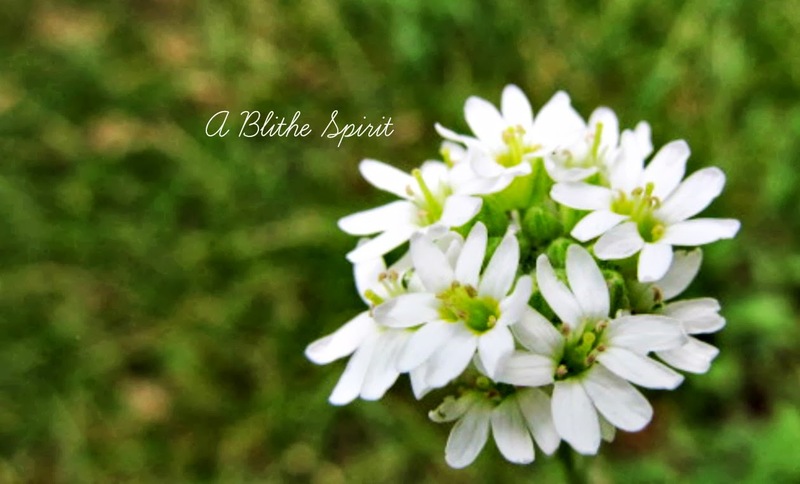 In the midst of overgrowth we have found quite a few lovely plants. Things such as daffodils, grape hyacinth, tulips, iris, columbine, coral bells, money plant, and hostas. The garden is completely planted now and almost all of our support structures are built. I am trying some climbing french beans this year so Scott made me some lovely bean tepees from our surplus branches. I think the tepees are so pretty! On one side of the tepees I added a nylon lattice for my cucumbers. We still need to decide how to support our tomatoes this year and once we do we can install that structure. This year we are leaning towards trying hog panels for support. Speaking of tomatoes, I found large clumps of volunteer tomatoes from last year's plants. They look very healthy so I think I am going to split them up and plant over in our new garden (where the brush pile used to be). It can't hurt to see what happens since they are essentially free plants. I also plan to mulch the garden with cardboard topped with either grass clippings or wood chips in order to reduce weeds and conserve moisture. Sure hope it works! I hate weeding, and watering the garden quickly reduces it's food cost savings. It takes a bit longer to work in the garden when Ike wants to help or Little Sister protests the outdoors. Scott has been such a huge help getting the garden up and running this year. It wouldn't be this far along without him. This was posted just as I was looking at your blog. You and Scott are a real team. Your garden looks very good and is so interesting. I applaud your efforts. It's a good idea to use the cardboard and mulch. Weeding was never my favorite. More power to you. Your tomato plants will do well,I'm sure.